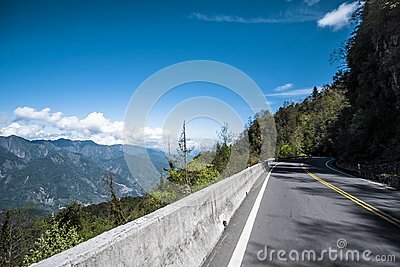 Road on the hill side running through forest with mountains, blue sky, and clouds. Road on the hill side running through forest with mountains, blue sky, and clouds. The Straight road is empty, no car or people. look so desolated and lonely, but pretty and fresh of morning air.